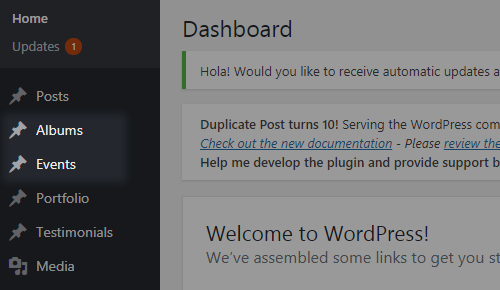 To activate the Qode Music Plugin, navigate to Plugins from your WordPress Dashboard, find the Qode Music Plugin in the list and click the "Activate" link. 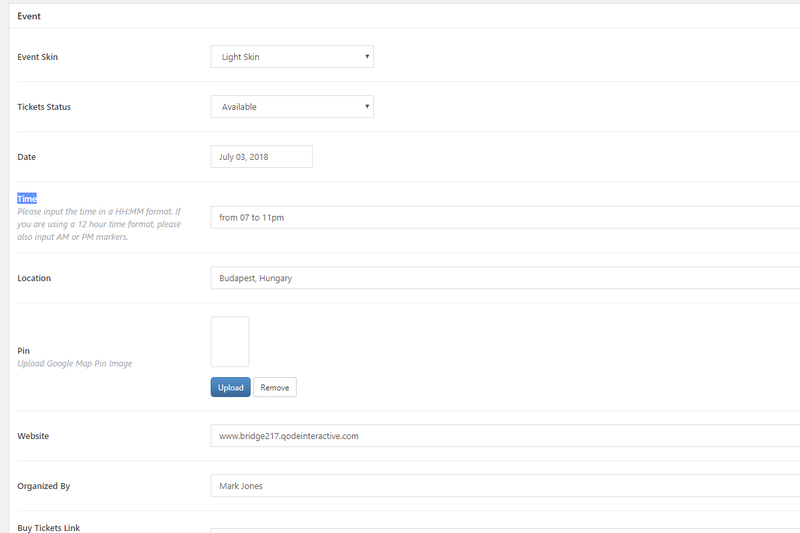 The Plugin will create two custom post types, Albums and Events. As you can see in our demo, these post types are suitable for adding albums (with audio tracks included) and for creating events (ticket links for events included). Beside these options, each album can be assigned to a specific album category, which will help you keep them better organized. "Back To" Link - Choose the "Back To" page to link from the event single page. 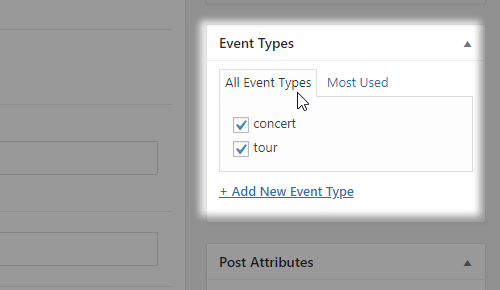 To better organize events, you can categorize them into Event Types. 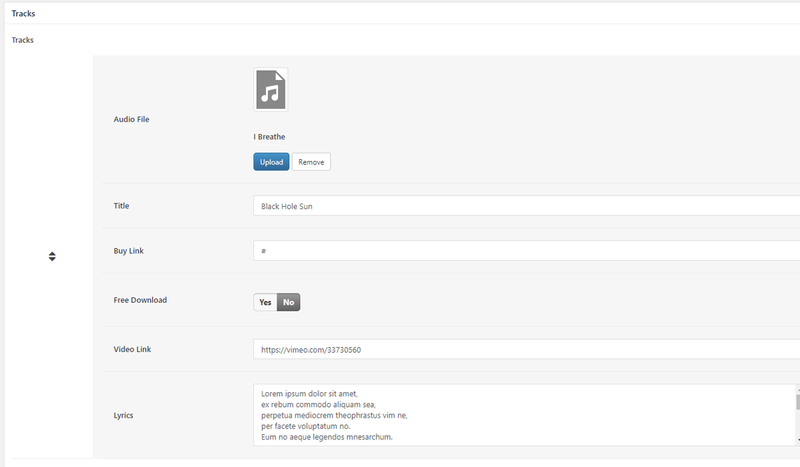 Finally, in order to display Albums or Events on a page, access that page from the backend and click the “Add Elements” button. From the Elements menu select "by Qode Music". 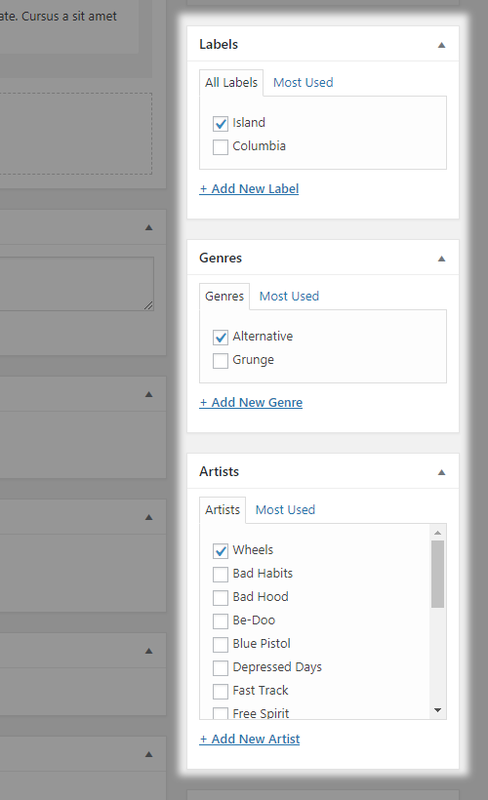 Albums List Template – Choose ‘album list’ template.